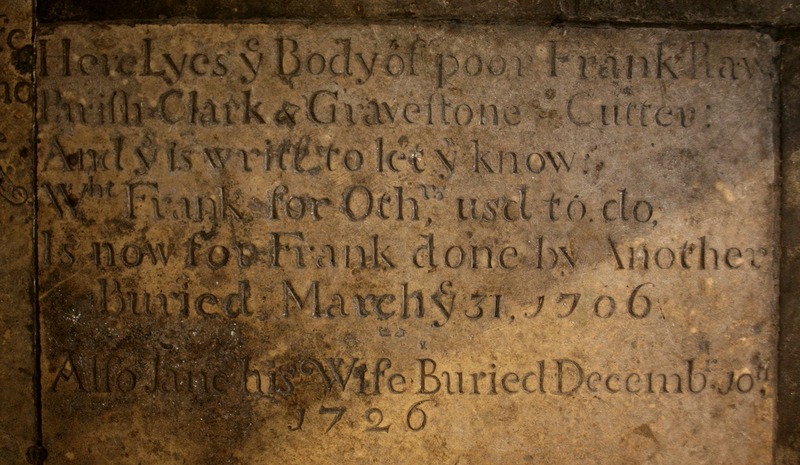 Why Frank Raw is described on his headstone as Poor Frank Raw, we don't know. 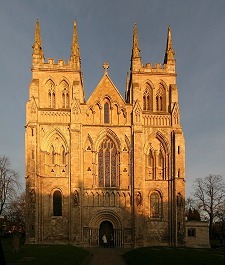 All that we know is he was Parish Clerk and gravestone cutter at Selby Abbey in Yorkshire and was buried on 31 March 1706. His memorial is now part of the paving in the abbey. To be honest, I think they could find a better spot for such a beautiful stone. I love the way the person who carved this stone refers to their own anonymity, and acknowledges the passing of the baton. Frank did it for others and now we do it for Frank. Sic transit gloria mundi and Memento Mori. I learned to cut lettering on stone three centuries after Frank was buried, but via this site, in a manner of speaking, I'd like to reach across the years and shake him by the hand.